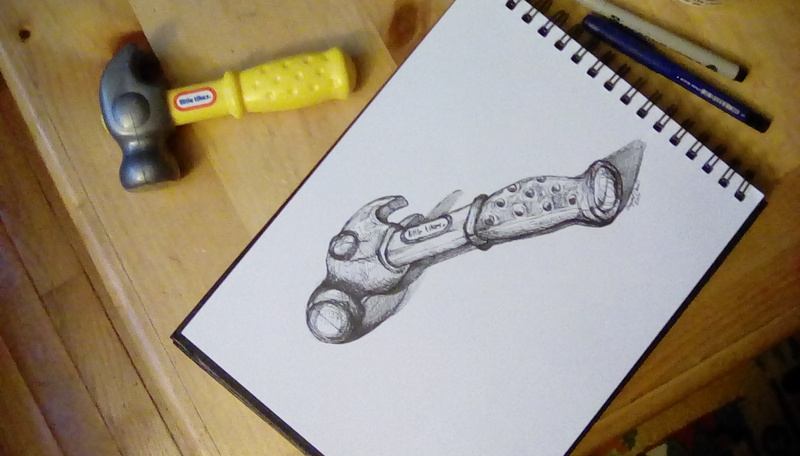 A few minutes of uninterrupted time yielded this result: an ink drawing in my sketchbook of my sons’ toy hammer. 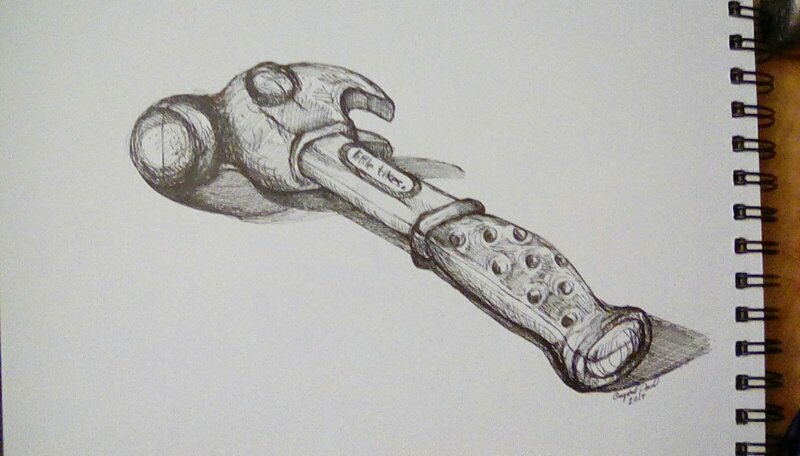 This is done in Micron black ink, on a smooth paper roughly 9×12. I really like how this came together!